From the New York Times bestselling author/illustrator of Max the Brave comes an inspiring and adorable picture book about a pair of unlikely friends who face down a pack of bullies. In this timely and charming story about the importance of being true to yourself, mindfulness, and standing by your friends, we meet Leonard, a lion, and his best friend Marianne, a . . . duck. Leonard and Marianne have a happy life together—talking, playing, writing poems, and making wishes—until one day a pack of bullies questions whether it's right for a lion and a duck to be pals. Leonard soon learns there are many ways to be a lion, and many ways to be a friend, and that sometimes finding just the right words can change the world . . . This sweet, funny, thoughtful, and much-needed story will open up readers' eyes to the importance of being who they are and not backing down to hurtful criticism. It's an empowering tale about connecting with others and choosing kindness over bullying, and shows children how angry and provocative words can be overcome by empathy and inner courage. 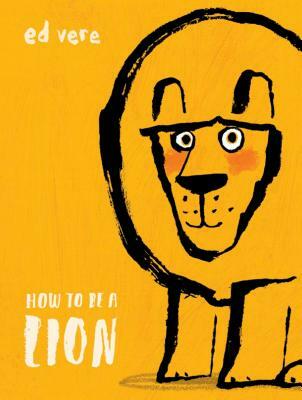 ED VERE is the author and illustrator of numerous picture books, including How to Be a Lion and the New York Times and USA Today bestseller Max the Brave. He lives in London, England. Learn more about Ed's work at edvere.com.